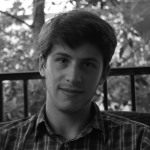 All RVs have to go into storage sooner or later. At this point they may become exposed to all sorts of elements causing them to fall into disarray. 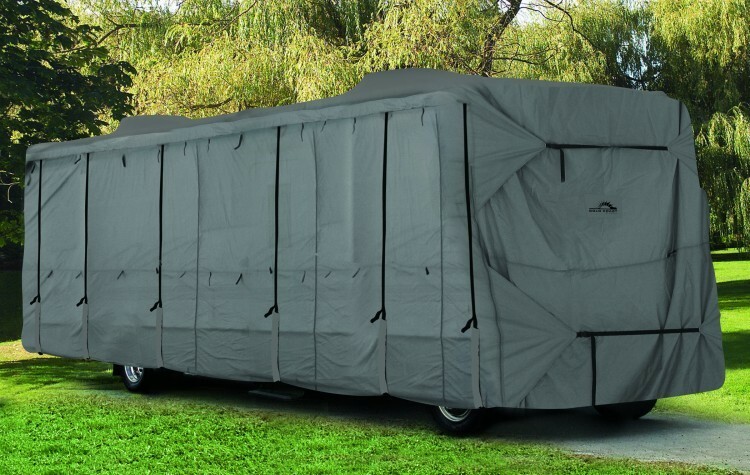 The simplest and most effective way to keep your RV safe from such concerns is by using an RV trailer cover. Sturdy as they often are, RVs need to be taken care of whether they’re in use or not. RVs stored in the open, whether in a side yard, or on the street, will likely fall prey to UV degradation, a process which begins by fading the paint and color of a trailer. Similarly, exposed fiberglass oxidizes over time, making the RV’s surface much more dull. Without the paint acting as a protective exterior layer, sunlight and other elements are more likely to damage and cause problems for the important metal and plastic pieces that make up the RV’s hull. Owners will be spending much more on repairs, while the degraded appearance will cost them on resale value, since potential buyers immediately take note of an RV’s exterior appearance before anything else. Beyond sunlight, tree sap, bird droppings, acidic rain and even simple dust build-up can cause deterioration of an RV’s surfaces if left unchecked. Without a cover, owners are likely to spend considerably more time washing their vehicles to keep them their best. RV trailer covers are a lengthy and worthwhile investment, so it’s best not to rush into buying the cheapest cover you can find without considering a few things first. As with most products, more expensive covers offer far more than their more affordable counterparts, so deciding which cover to purchase is a game of trade-offs. It’s important to understand the features of an RV cover before you purchase, and pick the one that covers all of your needs without breaking the bank. Of course, the first thing buyers will have to know is what size cover they’ll need. 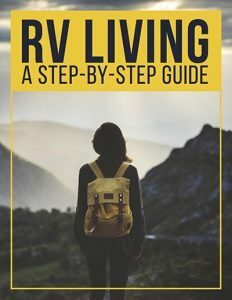 Luckily, whether you’re shopping online or in a store, nearly all RV trailer covers prominently state what size RVs they fit on the packaging or in the product description. Measure the RV yourself before purchasing rather than relying on registration manuals. 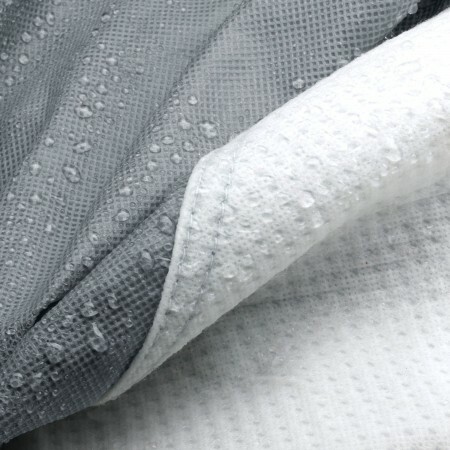 Most RV covers are made of polypropylene fabric or polyester, and some have double or even triple layers to ensure durability…for an extra cost of course. It’s up to each consumer to decide if these added costs are worth the extra layer of protection, which, in some cases, may protect the cover from ripping in inclement weather. Expensive covers tend to offer increased durability and strength with lighter weight material that makes storing the cover more manageable. When reading up on the specs for an RV trailer cover, check to see if they include UV or water repellents. The latter is especially important in allowing water to evaporate, rather than seeping through the cover and causing mold or mildew to form. Other common features include tie-down straps that wrap around the underside of an RV to secure the cover. Better quality covers include vents to keep them from billowing in the wind and trapping air resistance that may eventually create tears. Some also feature zippered sections to allow access to the doors and compartments without removing the cover completely. This is generally convenient for loading the vehicle without going through the hassle of removing the cover, but it is by no means a necessary part of a good cover. For a higher price, owners can order custom covers to fit the exact size of their RV. There are a few benefits to this option that may make the extra cost worth it for some buyers. Due to their tight fit, custom covers will be less affected by wind, and are generally made from stronger materials. These will require fewer or no tie-downs in comparison to the generic universal fits. That said, some covers now feature elasticized portions to help universal sizes fit specific trailers an RVs with more precision and less billowing. In addition to an RV cover, it may be worth investing in covers for your tires as well to protect the metal rims and rubber tires from element build-up. Even if the RV cover your purchase hangs low to cover the tires, individual tire covers ensure you don’t have to have your wheels replaced too regularly, thereby saving you money in the long-run. But that’s a topic for another article. Although it’s tempting to simplify the process by buying the first cheap option you stumble across, it’s almost always worth the inherent extra cost to purchase a name-brand cover. Off-brand items offer lower prices and many of them advertise unrealistic warranties, but name-brand items have more incentive to provide longer-lasting covers to ensure their business continues to yield revenue. If you’re worried about returning your purchase should any problems arise, many brand-name companies do offer legitimate warranties, but they usually range anywhere from one-year to five-years-long. Some of the major brand names for RV trailer covers include Camco, Eevelle and Classic Accessories. These companies all offer various sizes and strengths, so you can pick from several options depending on what conditions you expect your trailer may go through with its cover. Pricing for RV covers depends not only on the features included but also on the size. While covers for smaller trailers and campers may cost as low as $80, owners will generally have to pay upwards of $200 to purchase a cover for anything substantial in size. It’s difficult to know if the price is really worth it, but the internet makes the process much easier. Make good use of sites like Amazon.com, where most products are extensively reviewed by users, so you can read what previous buyers have to say about its effectiveness and value. It’s an easy way to conduct more specific research on the durability of one specific cover, or to simply put your mind at ease about a purchase you’ve already made. Realize that when you do finally make your choice and purchase the cover, it isn’t exactly easy to secure such a massive garment onto such a massive vehicle. It can take hours and hours, but the process will be much smoother if you first lay the cover out of a flat surface to untie any straps and understand the orientation you’re working with. Having a second person to help from the roof while another works from the ground is similarly helpful. Whichever RV trailer cover you do choose to purchase, ensure that you’ve chosen the right one for you. Just as your RV is much more than an over-sized car, this cover is much more than an over-sized piece of fabric, so there’s much to consider.